Fur and Feather Animal Assistance — A permanent residential facility for dogs and cats, designed for comfort, well being, and the study of animal behavior. Sarah Ross, has been carrying on Lauries dream. Keeping Fur and Feather moving forward. It has been Brad Beauchamp Laurie’s late Husband and Sarah Ross, keeping Fur and Feather alive for the past 3 years. Brad, though dealing with health problems has been a trooper caring for all the animals here at Fur and Feather. This team of two has been working 7 days a week, keeping things moving on this beautiful 90 acre facility. It has been no easy task For Sarah and Brad, loosing Laurie has been very hard for both of them,and learning all that Laurie did to keep Fur and Feather going. Many new and exciting things are in the works for FFAA. A wonderful new live in caretaker has joined the team, and we may have a volunteer joining us as well. We are very rural, and it is hard to find people who want to help, or volunteer. We are asking for monetery help. There is never ending up keep on our 90 acre facility. Mending horse fencing, dog fencing/runs, repairing roofs, painting, replacing old fence posts, mowing the grounds, clean up of manure and waste, maintenance on our much needed vehicles, weatherization of existing pens, and of course caring and training of our animals. Due to lack of volunteers, we have to hire people to help when Sarah or Brad need an extra hand. We encourage people to come and visit us, meet the dogs, help out for the day or stay a couple. We are working on fixing up our existing guest trailer, and hope to get one more,so guests and volunteers can stay at Fur and Feather. We are still taking animals in, and have had many successful adoptions. We are working with Catron county, collaborating on ideas for controlling the animal populations. We are moving in a new direction to better help the community for low cost spay and neuter programs. More than a “no kill” shelter, Fur and Feather has become a forever home where animals who are older, disabled, or otherwise hard to adopt can live out their years in a beautiful setting with people and animals who truly know and love them. This has particularly been a Godsend for lost and abandoned animals and those whose people have died. 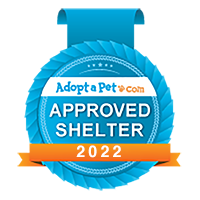 Facilities include several dog runs where “family groups” live and play, roomy kennels for individuals that need alone time or a warm place to bed down at night, an out-of-this world cat compound with outside space, cozy beds, and plenty of ledges and tunnels to explore. Dogs and cats who’ve proven to be 100% peaceful share the run of the 90-acre facility with a handful of rescued horses, donkeys, mules and chickens. While Laurie is no longer with us physically, she is still our guiding light. Fur and Feather will continue to give every animal a chance, and the best way to honor her legacy is to support that vision in whatever way you can here at furandfeather.org. Fur and Feather Animal Assistance is a permanent residential facility for dogs,cats and equines,designed for comfort, well-being, and CARE FOR LIFE. Our no-kill rescue is located in rural western New Mexico. Established in the fall of 2003 our mission is rescuing lost, abandoned, or unwanted animals in Catron County and the surrounding New Mexico communities. Fur and Feather provides a loving and stable environment at our sanctuary for these animals to live in. We care for each animal through the adoption process or through old age. Fur and Feather has provided homes to pets whose owners can no longer take care of them due to illness, death in the family, or financial crisis. We are also part of a network of shelters that provides a safe haven for the pets of victims of domestic violence. Our residents include disabled and elderly dogs, plus many healthy, abandoned and relinquished dogs,cats and horses of all sizes, types, and personalities. Every animal that passes through our hands is spayed or neutered. To date we’ve been able to spay or neuter over 1,500 pets. OUR MISSION: To alleviate animal suffering by providing sanctuary from abuse, neglect, and homelessness; to end the killing of healthy animals as a method of population control; to teach that animals are intrinsically valuable, worthy of respect, compassion and care. Fur and Feather Animal Assistance, Inc. is a 501(c)(3) nonprofit organization. Shop at over 1500 iGive website stores and help our cause! Fur and Feather Animal Assistance is a 501(c)3 nonprofit organization.